This is the worst phone to buy, from the day I bought this phone, the phone is not working and the customer care and service centre does not give a damn about. The phone is not working and they are not ready to replace the phone. Lava has the worst service ever I've ever experienced. Please do not waste your money on these products, because if you face any problem with the device, you wnt get it fixed. 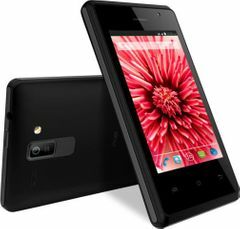 "I recently bot lava iris 325 style. Its mah 1st smartphone so m luvin it. The touchscreen n OS wrks jst f9. Camera is also gud. The fone is also fast n supports memory card. Basically it has al the features whch a gud smrtphn must hav n its in mah budget. I luv it. "